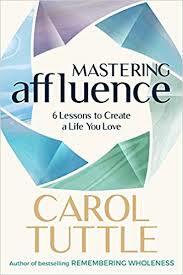 At HowtoLearn.com we want to share our gratitude with you and wish you a beautiful Thanksgiving Holiday, so we are grateful to author Carol Tuttle for sending over this article from her book, Mastering Affluence. You can’t force change. You need to allow it. And a key to allowing is accountability. When we take accountability for every aspect of our life we are in the most powerful position to allow change to occur. Carol Tuttle is a teacher, speaker, gifted healer, best-selling author of six books, and pioneer in the field of personal development. For over 25 years, she has supported millions worldwide with her life-changing books and online courses. Her newest book, Mastering Affluence, guides you through six transformative lessons to create a life you love. Get your copy and learn more at https://ct.liveyourtruth.com/.